Despite being nearly blown off my feet and soaked through, despite the hills and extra weight of the back pack I cruised home and even sped up for the last mile. If only Saturday's run had been so easy…. Maybe I should have guessed at the start that it was going to be tough. My running kit was still cold and damp from the night before. I put it on in the hope that it would dry as I ran. It didn't. It might have done if it wasn't raining so much! The rain did stop for a while but only to change to hail! I'm not a fair weather runner, I've always enjoyed the challenge of rough winter conditions. I wasn't remotely deterred and ploughed on against strong wind, watching people battle to control umbrellas blown inside out. 6 gusty miles later my Garmin died on me and the last of the day's light faded away. I struggled on to mile 7 and my turning point to head home, a bit tired but nothing unexpected. By mile 9 though the wheels fell off! The odd thing about the run was that my legs felt fresh I just felt exhausted like I'd lost every last drop of energy. I plodded away, desperately craving some chocolate to give me a lift. Stupidly I hadn't brought any food or drink with me, nor any cash to fund a much needed refueling. In fact I'd gone out with nothing, not even my phone to call Mrs G and beg for a lift home! The final 5 miles were a battle. I desperate wanted to stop and rest but knew if I did I'd get cold and struggle to get going again. Eventually after what seemed like an age I reached my door, collapsed into a chair and ate everything! I'm not sure of the exact science of exhaustion but I suspect my blood sugars were probably quite low. I had no energy and craved food. 30 minutes of chomping later I was a new man! Put simply, too much work and training, not enough fuel. Trying to run 14 miles against strong wind having worked around 70 hours in the last 6 days without adequate food or hydration beforehand was not bright. Going out without fuel, fluids or phone was also pretty dim! The tough, hilly 6.5 miler the night before probably added to problems. What have I learned from my trail of woe? Sometimes with running you have to squeeze everything in around work and family commitments. When this happens your training schedule can get bunched up and you risk running on empty. When this happens make sure you fuel well and hydrate pre-run and take more fuel and fluids with you if you're planning a long run. If nothing else a fiver in your pocket can help you buy something if you get caught out. When you have a busy life, planning and preparation is key! Do you have a 'trail of woe'? Why not share your experience and what you've learned from it on RunningPhysio? 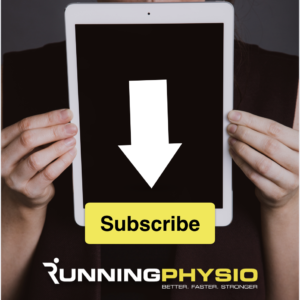 Simply email your story to runningphysio@gmail.com. I didn’t bother with a drink (never do up to 13 miles or so). Lesson learned!